Semiconductors are the basic building blocks of the electronics industry. With rapid advancement, companies are constantly looking to design smaller and faster chips. However, the challenge remains in that the semiconductor industry faces a cyclical demand. There are constant booms and busts in demand for products, especially with personal gadgets like computers and mobile devices. What can we next expect from this industry? What are the trends and challenges we should be prepared for in 2014 and 2015? The upcoming session of the TUM Asia Speaker Series will answer those questions. Professionals in the semiconductor/electronics industries, academics, students who are studying in Electrical Engineering and related programmes as well the public who is interested in understanding the semiconductor industry. If you would like to attend the session & have yet to register, please write to events@tum-asia.edu.sg. 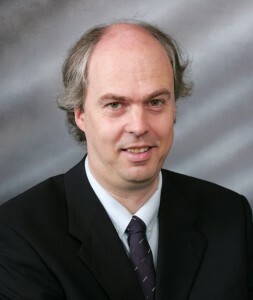 Professor Andreas Herkersdorf is a Full Professor and Chair of the Integrated Systems Laboratory at Munich University of Technology. He teaches graduate courses in digital integrated circuit design, the application of System on Chip technology in networking and communications, and Hardware/Software-Codesign. Prof. Herkersdorf was born in 1961 in Oberstdorf, Germany. He received the Dipl.-Ing. degree from Munich University of Technology in 1987 and the Dr. techn. degree from the ETH Zurich (Swiss Federal Institute of Technology), Switzerland, in 1991, both in electrical engineering. Prof. Herkersdorf’s research interests are in platform-based multi-processor System on Chip (MPSoC) architectures, design and prototype development of innovative Hardware IP (Intellectual Property) building blocks and high-level SoC design space exploration and Autonomic Computing. Michael is a Director and Research Lab Manager at NXP Semiconductors, with 25 years of experience in all aspects of semiconductor R&D and production. Michael, in his role as Research Lab manager, has set up many beneficial research and development collaboration projects in Singapore with local Research Institutes and Educational Institutes, in the areas of process technology and advanced system application field trials. Michael has specialized in CMOS, BiCMOS, LDMOS process integration and process development. He has worked for NXP Semiconductors and Philips, in various process R&D roles in the Netherlands, France, Switzerland and for the last six years in Singapore. Mr. Ulf Schneider is the Managing Director of Lantiq Asia Pacific Pte Ltd in Singapore, a carve-out of the Broadband Communications business unit from Infineon Technologies, since November 2009. Mr. Schneider has more than 20 years of experience in the semiconductor industry. Prior to this appointment, he has held different managing positions with Infineon Technologies and Siemens Semiconductors in Germany, India, China, Israel and Singapore. Mr. Schneider has been the President of Singapore Semiconductor Industry Association (SSIA) since 2005 and has served as a Board Member of the National Research Foundation of Singapore for the period 2005 to 2009. 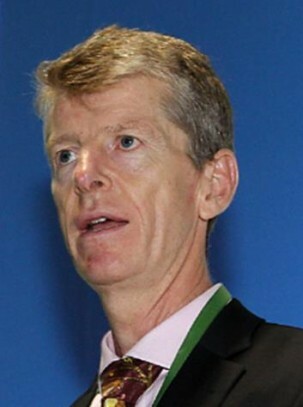 He is a member of the Singapore-MIT Alliance Governing Board since October 2009 as well as a member of the Singapore Customs Advisory Committee since July 2010. In addition to his multiple portfolios, he has also been an active member of the National University of Singapore’s Electrical & Computer Engineering Department Consultative Committee since November 2006 and the Chairman for the Singapore-German Chamber of Industry & Commerce (SGC) R&D Committee, as well as the Conference Chair for A-SSCC 2013 Committee. Mr. Schneider holds a Masters degree in Computer Science and Electrical Engineering from RWTH Aachen in Germany. He is married to his wife, Nicole and has a daughter, Laila.